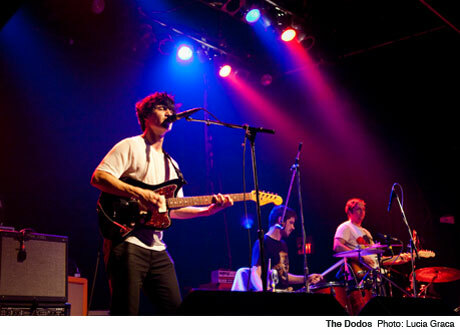 Those unfamiliar with the Dodos' rhythm-centric songs might find the band's live set repetitive and grating, especially when Meric Long's vocals are buried so deep in the mix. To their credit, the band are a tight unit live: Long's fretwork is boundless, if a bit same-y, and drummer Logan Kroeber would still be an excellent and deservingly stage-centre drummer even without a tambourine strapped to his foot. Still, any complexity to the band's set was lost in the Phoenix's muddled sound, unbalancing the band's on-record tightrope walk between meticulous and boring.